The working title of what wound up being this thesis: read pdf! In 1980 Michel de Certeau described an implicit dichotomy between production and consumption. On the production side were strategic institutions who had power, financial resources, and an established physical base of operations. On the consumption side were tactical users/consumers who lacked power but were more mobile than institutions. "A tactic is determined by the absence of power just as a strategy is organized by the postulation of power." Into the midst of this dichotomy, the web introduces a problematic entity -- the hobbyist user. The hobbyist user (aka prosumer, surfer, social networked netizen) doesn't have the productive agency of an institutional corporation, but she has more productive agency than de Certeau's original television viewer. She can't produce Hollywood movies, but she can upload YouTube videos. As early as 2000, Pierre Bourriaud wrote, "There is (fertile) static on the borders between consumption and production that can be perceived well beyond the borders of art." Four years later Nato Thompson argued, "The dependence on these two terms [strategies vs. tactics] seems to create a barren but much needed middle ground. Instead of a polarizing dichotomy, maybe it would be more useful to consider these terms as the two poles of resistant aesthetics. That is to say that a project vacillates in its relationship to power from tactics to strategies. While owning the dominant system may feel impossible, it feels more than a little slackerish to depend on defeat." I here take up their challenge and pose a cursory continuum, ranging from strategic production to tactical consumption. In the production, distribution, reception, and archiving of any kind of art, there are always multiple speeds and slownesses happening simultaneously at multiple levels. This is a very Deleuzean observation that planes of meanng are not just a matter of molar objects and subjects in spatial and power relations to each other. Rather, meaning and ways of being are more a matter of speeds of movement, attrition, attention, permeation, deterritorialization, etc. 1. The time it takes the actual media art object to play out (as Jon Thompson noted -- a decaying sculpture, a perpetually updated data cloud). Smithson's work really problematizes this kind of time. The art collective Spurse has been exploring "deep time/rapid time," considering geological formations over time. Also categorically problematic is aleatoric software (like Brian Eno's "77 Million Paintings") which perpetually runs with enough generative variability to keep from ever "looking" like the same thing twice (although arguably it is performing the same perpetual function at an algorithmic level). 2. The Cartesian clock time that the discrete viewer/user actually spends viewing/interacting with the work in the space (three seconds, 30 minutes, or whatever). 3. The more subjective Bergsonian time (analog, non-digital, qualitative not quantitative) that the discrete viewer spends affectively experiencing the work (could involve personal prior memories, could involve the work coming to mind later after leaving the space). This is related to the Cartesian clock time, but by no means solely determined by it. 4. The time that the entire show or project runs. 5. Archival time -- how the work is archived, collected, subsequently displayed, gradually folded into an art historical canon. 7. The evolutionary time of an art practice throughout an artist's life. 9. Institutional evolutionary time -- the time it takes art institutions to come to terms with and incorporate new media forms (or new conceptual approaches to old media forms). And of course, historical and political rates of speed contextually permeate and inflect all of the above rates of speed. And of course all of the above rates of speed perpetually permeate and inflect each other. These permeations and inflections are "always already" happening (to greater or lesser degrees). The artist and curator can (and should) attempt to more purposefully orchestrate these temporal permeations. But they are happening already (however haphazardly, slip-shoddily, accidentally, ironically), regardless of the artist or curator's awarenesses or stated intentions. I propose that truly ingenious "event-based" work (in whatever media) is work that invites all of these scales of speed into the work itself, so that the work proves self-aware of its own context -- not hermetically sealed from these other speeds and slownesses, these other rates of advance and attrition. Such ingenious work is not merely multi-media, or even multi-scalar (in a spatial sense) -- it is multi-dromological (to invoke Virillio). It is work that works across multiple scales of speed. It is not merely reducible to a form of "institutional critique" or a form of "activist art." It transverses institutional and political power relations, but it also functions phenomenologically and affectively as an art work in the space itself. Smithson's "Partially Buried Woodshed," Matta-Clark's house cuttings, Duchamp's long-term work on the Green Box, even Bill Viola's slow motion Tristan Project -- all succeed at working across and purposefully invoking multiple scales of time. And none are technically "new media." 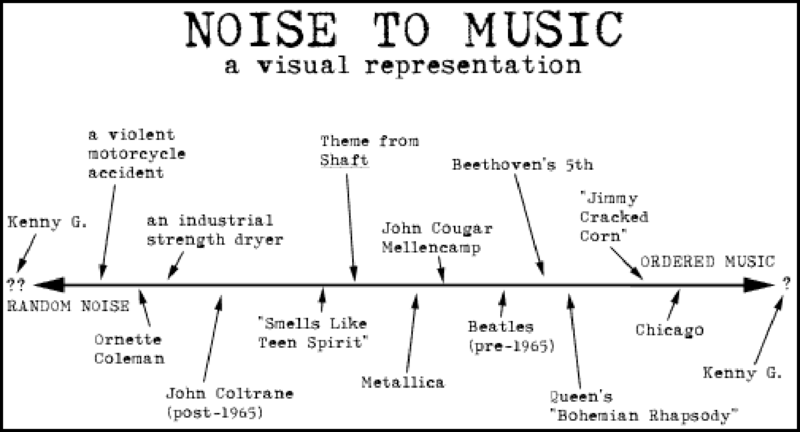 Some of John Cage's compositions are especially ingenious in this regard. "Water Walk" still invites in the sounds of "real-time, contemporary" radio. Cell phone ring tones can now be heard during 4'33''. Regarding the difference between the artist-intended "real-time" performance speed of a piece and the once-removed, institutionally archived "memory-time" of a piece, something like William Pope L.'s The Black Factory is wonderfully and intentionally problematic."" The project intentionally self-sabotages its own eventual/inevitable recontextualization as an archived art object. The project is basically a mobile performance factory that takes "black" objects submitted by people and physically converts them into other objects. So the project is a machine that modulates the "aura" of a discrete/singular object. There's no easy way for the project itself to be archived as an object (although it is technically an object [a mobile home] that generates residual objects). A machine that transforms objects (The Black Factory) can't itself be transformed into an object (an institutional archive of The Black Factory) without throwing a boot into the institutional machine that wishes to transform it into an object. In the archiving process, the institutional machine is immediately revealed for what it is (A Memory Factory? A Culture Factory? A sterilization factory?). The Black Factory is thus properly multi-dromological. To look at art through the filter of time is to ask "when?" To look at art through the filter of media is to ask "how?" To look at art through the filter of concept is to ask "what?" and "why?" To look at art through the filter of control is to implicitly ask "who?" Of course all these questions/lenses are related to and ineluctably imply each other. Here I am interested in the "who?" question, particularly because it seems the question most pre-supposed and less critically analyzed, particularly when discussing "gallery/museum" art. It is a question of anthropology (and ethology, and systems theory) that quickly leads into contested areas. Sums up most gallery art, but also a lot of network art. Duchamp rightly points out that all art is a collaboration between artist and audience, but he is still presuming and trying to expand this one-to-many Beaux Arts model. Sums up all collectives and much "interactive" art. Theoretically this is Kaprow's Happenings, but there were always onlookers, and documentation was taken of the events to show to a future "audience" of non-participants, thus situating Happenings more properly under #2 above. Some "art brut" work fits here. Theoretically, this is patron-commissioned art, but the pope wasn't the only one to see Michelangelo's work. Some forms of craft and gift-giving fit here. Perhaps Henry Darger, arguably very early Howard Finster, much art we'll never know about. St. Francis preached to the birds. The monks of Iona preached to the seals. A bit more theatrically contrived but still related, ( St. Joseph preached to the hare) and ( the wolf ). On Kawara's date work seems to want to fit here [theoretically], but it doesn't since he has a dealer and knows it. Danny Hillis/Brian Eno's "Clock of the Long Now" fits here ( ). This might be called simply (cf: "the world." . This video is obviously a critique of conceptual art, but the actual "work" featured seems to fit into this category.) Robert Smithson's writing touches on this kind of work. A human curator/contextualizer/intentional_observer becomes crucial to bring the "work" to "light." This continuum presumes the myth of the dividuated human self. Once that myth breaks down, once "individual human" is understood to be merely a matter of scale -- individual human as a conflux of sub-systems (circulatory, respiratory, etc.) participating in larger macro-systems (economy, family, ecology, etc.) -- once we make for ourselves Bodies without Organs, then the above continuum becomes even more fluid. I propose this cursory continuum not to codify anything, but hopefully to open things up. Theory is useful not because it canonically freezes things, but because it slows down the raw chaotic flux of every undifferentiated thing enough to begin to reveal contours that may be useful to a practice. Michel de Certeau, The Practice of Everyday Life (Berkeley: University of California Press, 1984), 38. Nicolas Bourriaud, Postproduction: Culture As Screenplay : How Art Reprograms the World (New York: Lukas & Sternberg, 2000), 4.